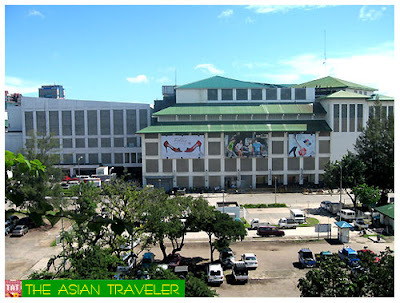 After our Puerto Princesa, Palawan trip, we decided to stop in Cebu City for 2 nights on our way back to Manila. 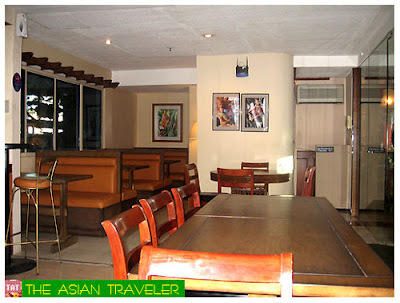 We booked a Standard Room (Php 1,800.00) at Regal Business Park Hotel, which include buffet breakfast for two. 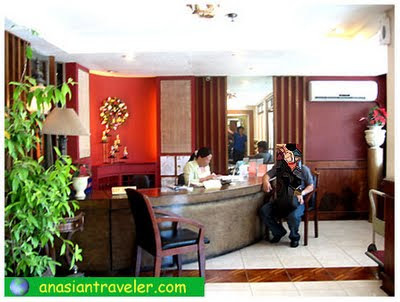 The only best thing about this hotel is the prime location and it is strategically situated right across Cebu's major shopping mall - Ayala Center. It is also easy to reach by car and public transport. After seeing the cute and contemporary Lobby area, the hotel room was different from what I expected. 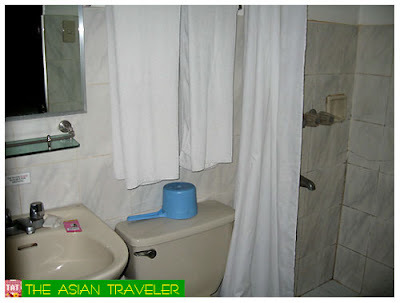 Though it was clean and well equipped it seemed a bit outdated especially the bathroom, plus we were stuck in a windowless space. 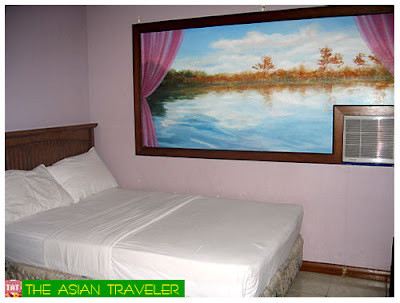 We had only this huge painting at the side of the bed that created a make-believe "scenic view". It was dreadfully close atmosphere. 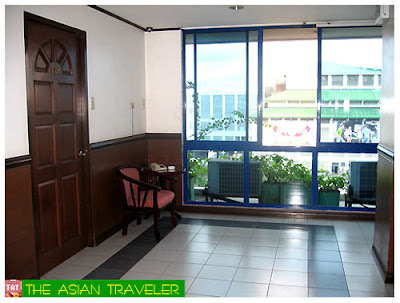 Nevertheless, the room is equipped with a private bath, individual air-conditioning units, telephone and cable TV. The tap water is not safe to drink but the hotel provides free bottled water everyday. Complimentary buffet breakfast is served at the Lobby Lounge of the hotel from 6:00 to 9:30am. They also have a la carte menu. Sad to say, the breakfast food was always the same and disappointingly run of the mill. On the other hand, the lounge has a free wireless Internet connection and no limitations. Overall, it was a bit pricey for a room and a little disappointing for such a well-situated hotel chain. The reception staffs were okay but not that friendly. I like to see hotel staffs with a smile every time they see their guests. It's just a little gesture but makes guests feel so welcome and feel at home. Don't you think so, folks? I hope the management should do something to improve their rooms and food. 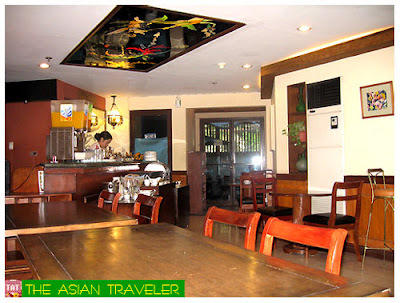 Regal Business Park Hotel is located at Archbishop Reyes Avenue, Camputhaw, Cebu City, Philippines. NOTE: This is my personal review based on our own past experience.